In 2006, when the Getty Trust announced its agreement to return a funerary wreath and a statue to Greece, it also announced “plans for future collaboration” with that country’s Ministry of Culture. This friendly handshake is the first concrete evidence that Cuno is moderating his formerly belligerent stance towards source countries. Grave marker fragments, late 5th century B.C. 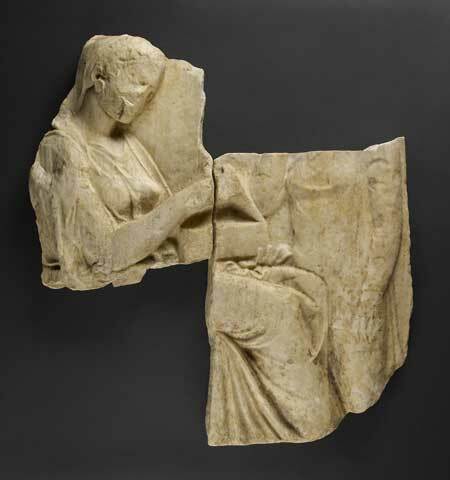 The above fragments, when joined to another fragment from the same funerary relief in the Kanellopoulos Museum, Athens, show “two female figures, a woman seated on the left and a slave in front with her right hand on her cheek,” according to the Getty’s announcement. Inscribed stele, 430 to 420 B.C. The text on the front and two flanking sides describes sacrifices and festivals celebrated in Thorikos, southeast Attica, in honor of local deities and heroes. 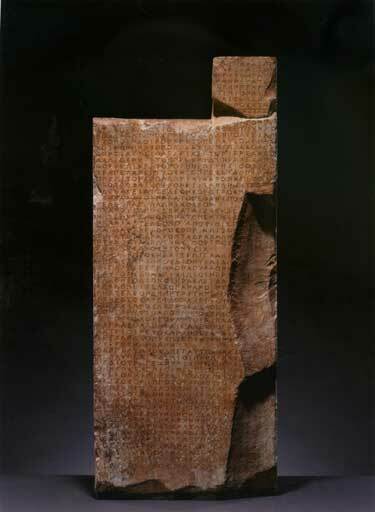 The stele was acquired by the Getty in 1979. Greece has “agreed to a reciprocal loan for the stele that will allow the [Getty] Villa to continue to present visitors with an example of ancient Greek writing,” according to David Bomford, acting director of the Getty Museum. Speaking of memoranda of understanding with Greece, the U.S. State Department still hasn’t posted on its website the complete text of the cultural-property agreement signed by Secretary Hillary Clinton in Athens last July. 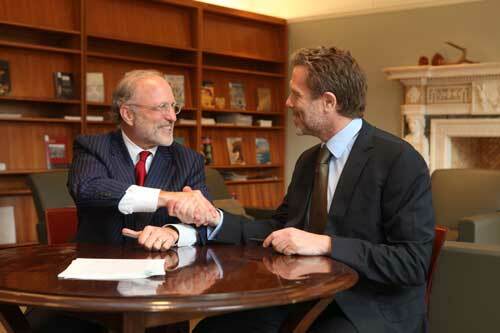 The Getty initiated the discussions….In the case of the fragments, it became clear that the best interests of scholarship would be served by reuniting them in Greece. Likewise, after reviewing all the facts involving the religious calendar of Thorikos and its unique historical relationship to the site, the senior curator of antiquities concluded it was appropriate for this object to be transferred to Greece. Jaskol also told me that the stele was acquired in 1979 from Jacques Roux, a New York dealer, and the grave relief fragments were purchased in 1973 from Nicolas Koutoulakis, a Swiss dealer.